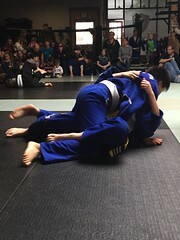 SBG Montana’s Stella Davison competed in 2 back-to-back tournaments on Saturday, November 17th and Sunday, November 18th in Dallas, TX, making strides in a promising career as a national Judo athlete. Davison competed at the USA Judo’s National President’s Cup Judo Championship, placing 3rd in both of her divisions. 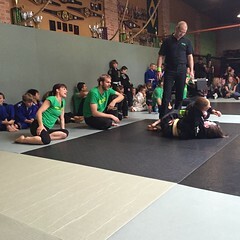 She also competed in the 53rd Annual Dallas Invitational Judo Championship. Davison was 1 out of 12 competitors in the Senior Shiai Division and 1 out of 5 in the International Judo Federation Junior Division. Stella was coached by Travis Stevens, 2016 Olympic Silver Medalist and Project 2024 coach. Davison’s greatest asset leading up to both tournaments was her discipline, giving her the ability to go up against high-level competitors. 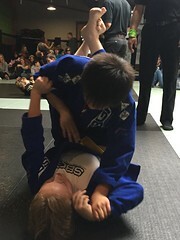 With the guidance of Coach Stevens and her discipline, Davison’s performance in the two tournaments are important steps in a greater Judo career.